Up for 8.00am. We were already packed and put our bags etc on the Bus before heading up for breakfast. We presented boxes of chocolates to the staff in thanks. They seemed surprised and then even more surprised when everyone of 44 boys went up to individually say thanks and shake their hands. There were even a few hugs. Mothers you should be very proud of your boys. We then had to say goodbye to Noah and then Brendan who are leaving us to go onwards on holidays. The remaining 42 survivors boarded the Bus and we were on our way by just after 9.30. The craic on the Bus was only mighty as the U-12 v U-13 battle raged on. Points were awarded for jokes and for songs. There were a few own goals but generally the standard was good. Cormac was a revelation. He should be on a stage. There was also nominations for Player of the Tournament, Goal of the Tournament, Save of the Tournament etc. James Mitchell got an occasional mention. Charlie won the Award for the most untidiest Room. In fact the Red Cross are still on site seeing if anybody survived the explosion that could only explain the state of the Room. When asked Charlie could not remember the colour of the carpet in his room. It was probably an unfair question as the carpet was in fact covered for much of his stay! We stopped before boarding the “boat” in a Truckers Stop in Holyhead for lunch. The food was good even if some lads seemed to forget what they ordered! Then it was on to the Ferry. A much bigger boat than when coming over. The crossing seemed longer but soon we were back in Ireland, back on the mainland. It was great to be away but it is great to be home. We had a stop at the Spa Hotel in Lucan waiting for Isaac to be collected. This was hard and made harder by the wait. A good few tears were shed as we said our goodbyes to Isaac. That was difficult for everyone. After that everyone just wanted to get home and so it was straight home to Athlone. On the way there were a few speeches and presentations by the Players to David and to our driver Michael. We were very lucky to have Michael as our driver. Again just exceptional in his job but more than that time and time again he went out of his way to make this a better trip for these boys. We are very grateful to Michael. There was more singing on the bus to shorten the journey. The contest between the U-12’s and the U-13’s was declared an 18-18 draw. A good result! 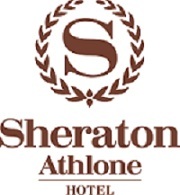 Then we arrived back into Athlone for 7.32pm. We never did make up that 2 minutes! There was a big crowd to welcome us home and in no time all had gone their separate ways each with their own tales to tell and experiences to recount. We hope you all enjoyed every minute of it. Again thanks to David and Michael. Thanks also to Clive and Richie, and to Tadhg and Brendan and James for giving up their time to give these boys this opportunity. Most of all, thanks to 45 fantastic young men. You are a credit to your family, to your Club, to your League, to your country. We hope you enjoyed this and that this trip will give you many long and happy memories.